Lavender is a beautiful, and useful, addition to any garden. 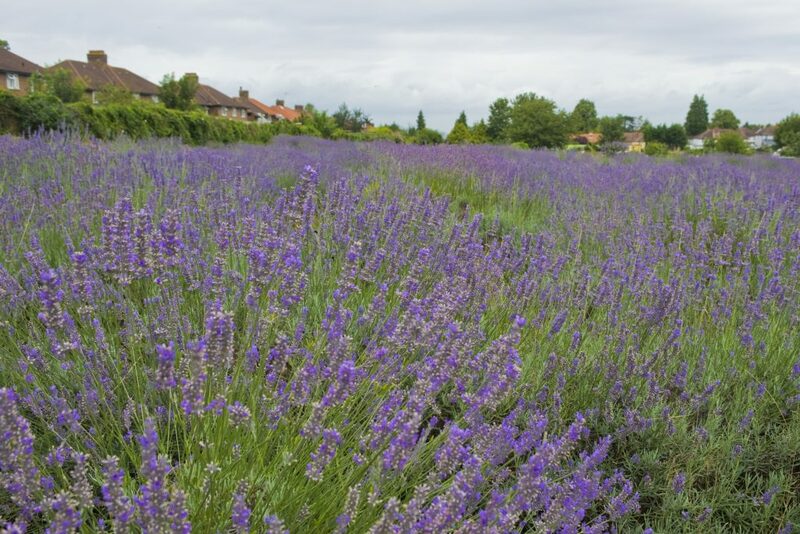 If you want to start growing your own lavender, or want to learn how to tend to existing plants, read on for some advice and information. Lavender requires well-drained neutral to alkaline soil, although Lavandula stoechas subsp. stoechas (which always grows in acid soil in the wild) and to a lesser extent Lavandula x intermedia, can thrive in slightly acid soil. If you have heavy soil, mix in grit when planting to improve drainage and plant on a slight mound. Wet soil in winter can have a terrible effect on lavenders and it is wet soil, rather than frost that is more likely to kill these plants. 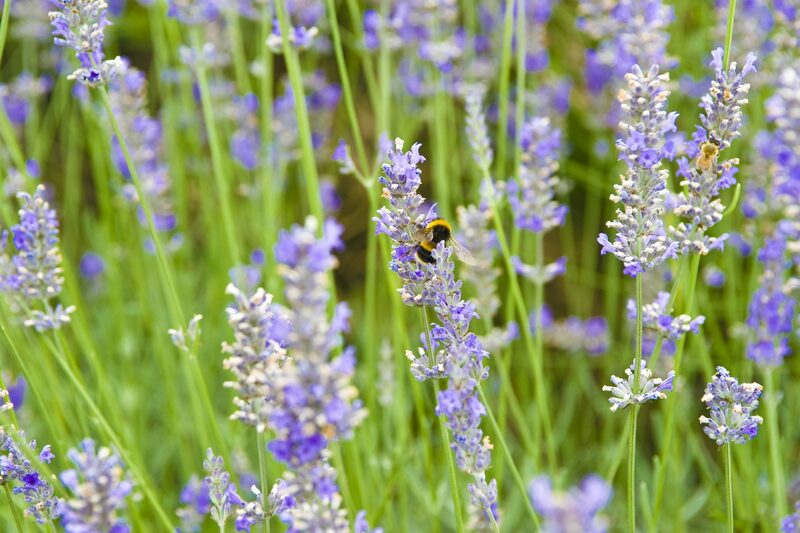 The main thing to remember is that lavenders are Mediterranean plants that thrive on poor, stony soil in full sun. Offer them that and you will be rewarded with plants that grow and flower well. Soak your lavender plant in a bucket of water for a few minutes until bubbles stop rising from the compost. Dig a hole and add a dusting of bonemeal. Fill the hole with water and allow it to drain away. Place the plant in the hole and fill to the level of the compost around the plant and firm in. Ensure the soil is kept moist in the first few weeks after planting. Tender, half-hardy lavenders and dwarf lavenders are ideal for 30-40cm (12-15in) terracotta pots. Use a mix of one third each of soil-free compost, John Innes No.2 or 3 and coarse grit. For feeding, pop in a plug or two of slow release fertilizer, which should last all season. Lavender stoechas species and cultivars will need potting on regularly. Tender, half-hardy and frost hardy lavenders grown in pots should ideally be given protection in light, airy conditions. These plants need very little water from November to February. Wait until the pot is noticeably lighter or even until plants start to wilt and then water only on top of the compost. Never water over the foliage in winter. If no internal storage is available, bring the pots near to the house so that they receive some protection and warmth. Take your chances! These normally flower just once, but may have a weak second flush after pruning. To keep them really under control don’t be frightened to chop them back to just 22cm (9in) immediately after flowering… they love it! It’s particularly important to be severe with the x intermedia lavenders, even if you have to sacrifice some late flowers. If there’s a good smattering of small shoots visible below where you cut they’ll grow strongly even from old wood, but beware, no shoots means no plant next year as your lavender will die. If pruned at the correct time, new growth should leave lavenders over-wintering as lovely leafy hummocks. You can even try to save that old gnarled lavender that has an arm’s length of bare wood topped with a mass of growth. Prune to within a hand’s width of the bare wood to see if this encourages sprouting further down the plant. If it does sprout, then when you next prune do the same again, until you can’t see the ground beneath the plant. Of course if it doesn’t sprout after the first prune put it on the bonfire and enjoy its last lingering smoky perfume… and then buy another! These are the toothed and three-headed exotics that flower almost continuously, so there never seems to be an opportunity to get out the secateurs! Generally speaking, dead-head throughout the year with the occasional severe prune, as outlined above, to keep the more vigorous forms in shape. After a severe pruning keep the compost on the dry side until you can see a moderate flush of new growth. These lavenders will often not survive our dank British winters. Try taking some cuttings or save seed. 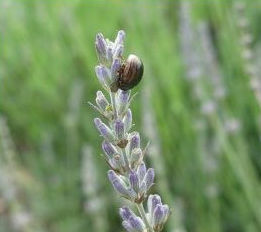 The rosemary beetle (Chrysolina americana), increasingly found in southern Britain, loves lavender. Not much bigger than a ladybird, it is instantly recognisable by the striking pattern on its back – red and green stripes. 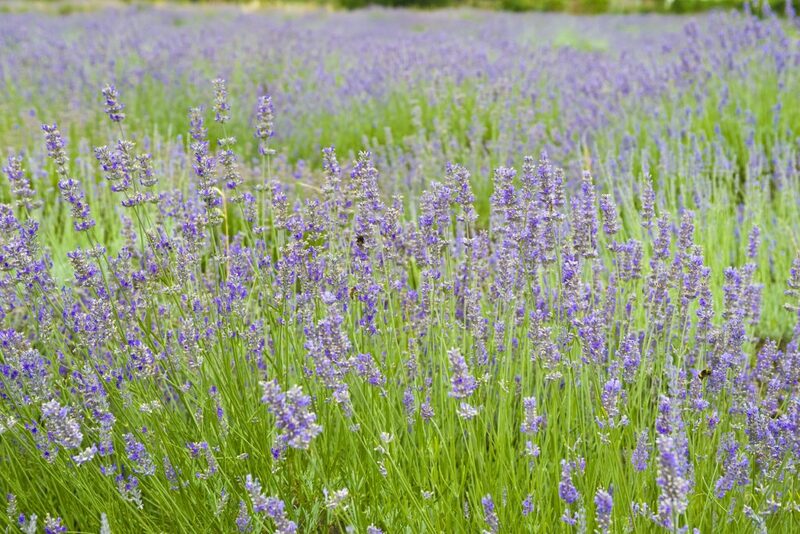 It can decimate lavender plants and its namesake rosemary. The rosemary beetle can be controlled either with insecticides or hand picking of the adults and larvae. 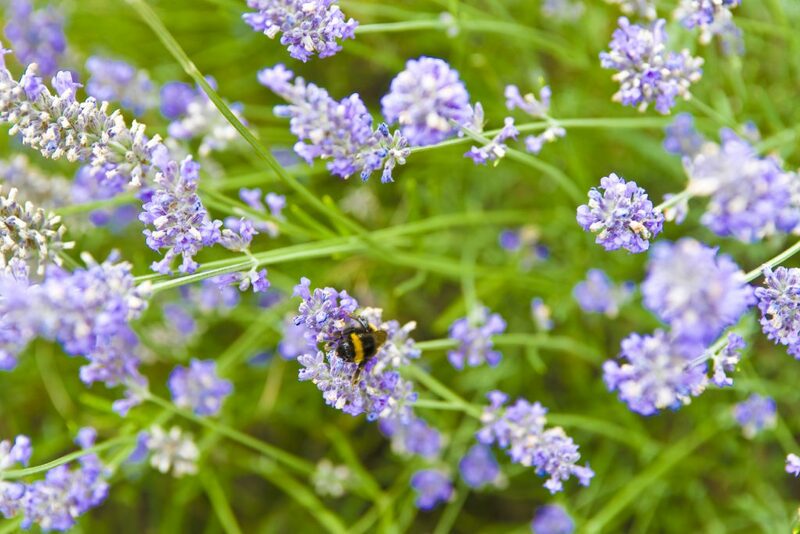 There are no recommended insecticides that can be used on lavender or rosemary if they are to be used in cooking. If pesticides are used then these are best applied in late summer to early autumn or in the spring, when the beetles and larvae are active on the plants. Suitable insecticides that can be used include bifenthrin or imidacloprid. Insecticides should not be used while plants are in flower because of the danger to bees. For more information about the rosemary beetle, please see the RHS website.